Following Uniti’s announcement to establish its pilot production plant in the UK, the Swedish electric car startup expanded upon its clean growth strategy with a recent statement at CBI’s Annual Conference 2018 in London. Core to Uniti’s strategy is their “Brexit-proof” approach to aggregating and digitising Britain’s world-class capabilities in advanced materials and manufacturing. The company’s Director of Vehicle Development, Sally Povolotsky, said this approach means new jobs and millions in investment coming to the UK over the coming years. It also offers reductions in traffic congestion, local air pollution, and carbon emissions in keeping with Britain’s aggressive climate targets. In response to Povolotsky’s statement at the event, UK Prime Minister Theresa May thanked Uniti for the “confidence you’re showing in the UK” and agreed to linking robust environmental performance with strong economic growth. “For too much in the past, there’s been this idea that you couldn’t have a care for the environment, you couldn’t look for clean growth, [because] that would automatically damage the economy. Actually, no, you can do both together, and it’s innovative technologies and innovative industries like [Uniti’s] that show that you can do that together,” said the Prime Minister. Uniti will build electric vehicles for the UK market starting in 2020 at its planned facility in Silverstone Park, home to the British Grand Prix. To date, the Swedish carmaker has already engaged a team of engineers at an R&D centre in Northamptonshire while fostering partnerships with local companies such as KW Special Projects, Danecca, and Unipart. 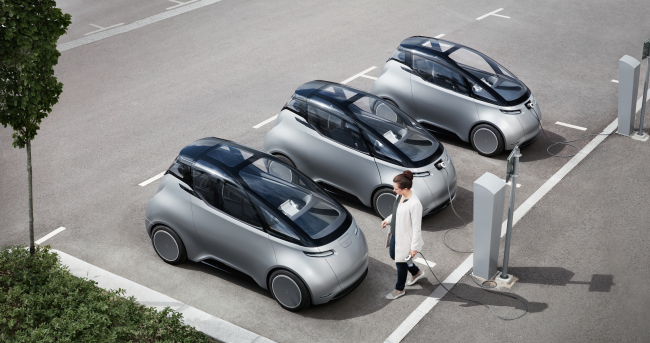 While the issue of Brexit has caused a level of uncertainty within the UK’s automotive industry, Uniti has found Britain to offer a welcoming environment to produce its lightweight electric car. To help support its vision for the UK and beyond, Uniti is currently offering investors the opportunity to purchase a limited number of equity shares in its company. Shares can be purchased through the London-based crowdfunding platform Crowdcube at crowdcube.com/uniti.